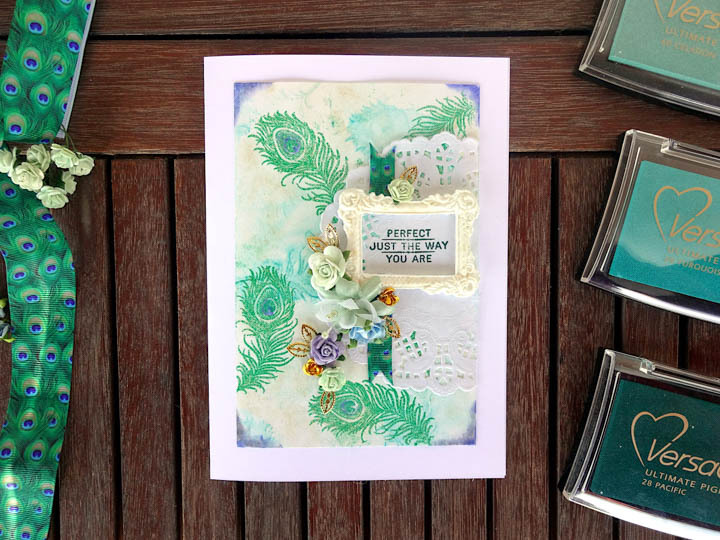 Kyriakos creates a beautiful design with a couple different stamping techniques using VersaColor inks, embossing powders and a frame created with a mold. It is simple and stunning! Visit the Imagine Crafts blog for directions.